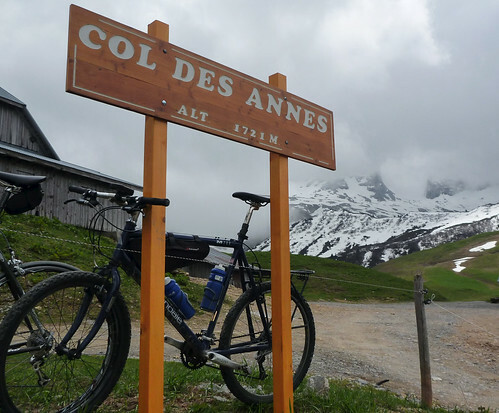 Col des Annes is a little know, beautiful, and very steep cycling climb starting from Le Grand Bornand. 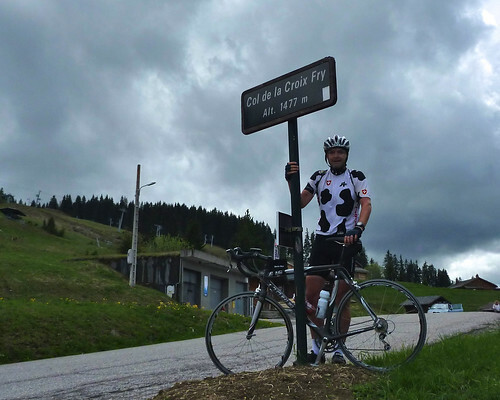 Due to the threatening weather, the plan was simple: Cycle up and down a few cols from Le Grand Bornand … never being more than a fast descent away from the car. 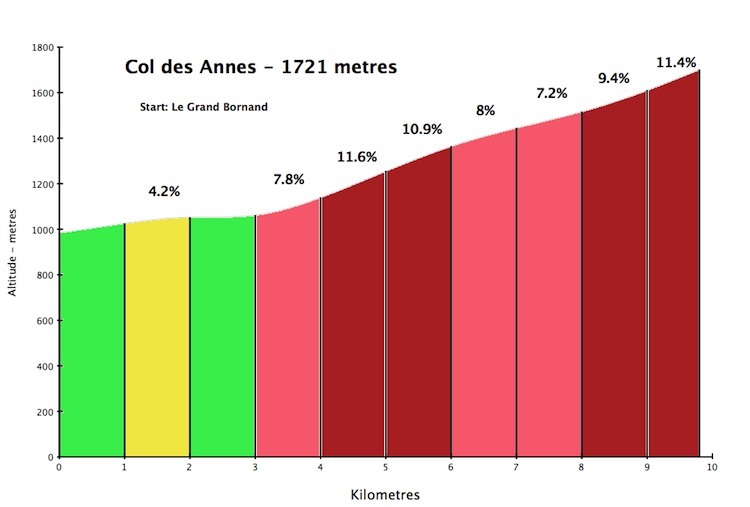 Col des Annes is a little know, beautiful, and very steep climb starting from Le Grand Bornand – the last 300 metres must be 14-15%.. 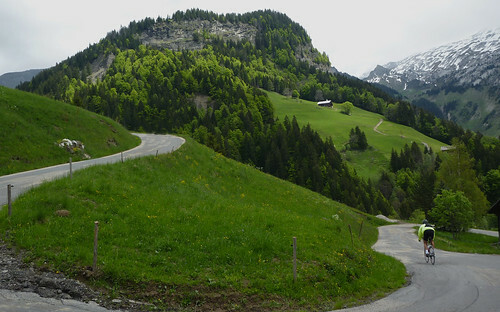 The road ends at the Col – although I did – for some unknown reason – carry my bike down the trails on the other side last year. 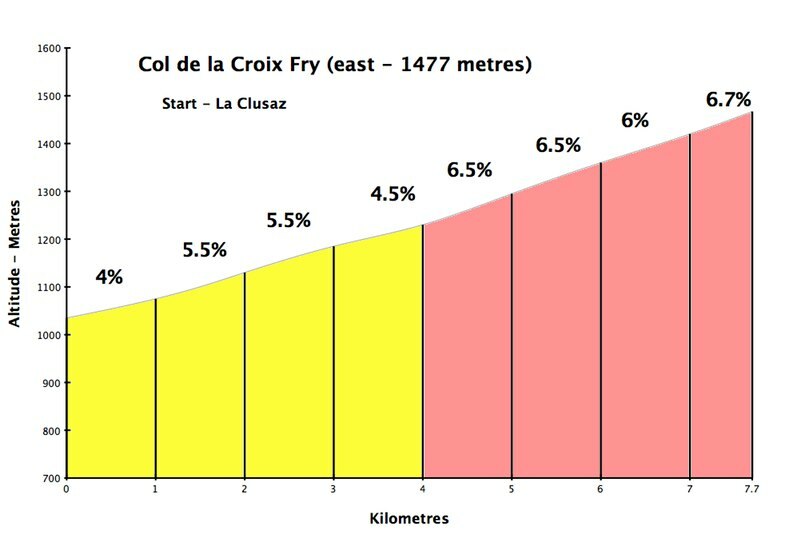 After descending from Col des Annes, we headed up through La Clusaz and then to the easier east side of Col de la Croix Fry (for details of the superb and much harder west side of Croix Fry, see here). At the top of Croix Fry we took a little side road to Col de Merdassier – scenic but not difficult. 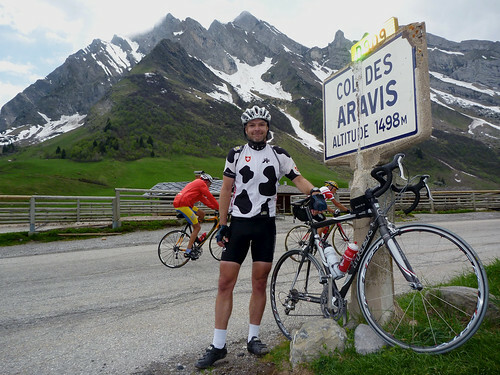 Finally, we headed back towards La Clusaz but turned up for a short climb to Col des Aravis for a crepe and a drink at the top. 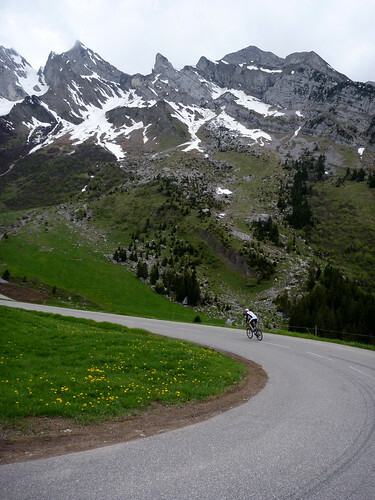 From Aravis, it’s a fun and fast descent back to Le Grand Bornand. Despite some pretty dark clouds, the rain stayed away. 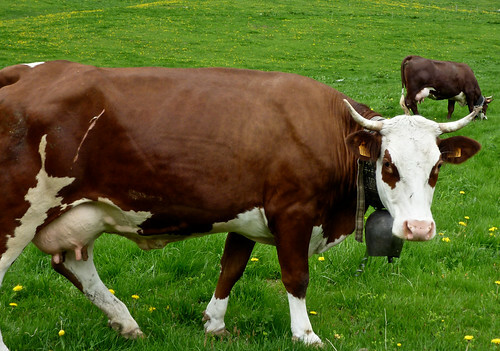 A very nice route surrounded by high Alps.